Hj.Ir. Aziz Ismail has strong experience in enterprise management and industrial automation technology. He is involved in a full range of enterprise management applications and industrial automation technology in his more than 30 years working experience. It include Research and Development of Industrial Automation Products, Enterprise Management Applications , SME solutions, Asset Management solutions and PC management and monitoring applications. Ir.Aziz Ismail is very active member of ICT economic cluster in Malaysia. As the Founder member for TechnopreneurAsia, (Past) President of TeAM ( Technopreneur Association of Malaysia) and Vice President II NEF ( Bumiputera ICT Entrepreneur Association) he is deeply involved in many strategies, activities and issues related to the industry. He is also a Director of Majlis Tindakan Ekonomi Melayu, an umbrella organistion of 47 national NGOs with 500,000 entrepreneur members. At the beginning, Ir.Aziz Ismail was an electronic engineer working in the government company. He then worked for multinational companies and later on became a Technopreneur. He was working for TNB in 1984, then moved to Honeywell (US Company) and later on moved up the corporate ladder to become the CEO of Foxboro (US company) in Malaysia. Then he decided to join the roller coaster life of entrepreneur by setting up his own company Authentic Venture Sdn Bhd in 2002. At company level he developed many interesting solutions that is based on Microsoft platform. Among the products include TenderAsia ( a comprehensive Portal of Tenders and Quotations across Asia), eTrax ( monitoring what employees do on their computers), AssetCentral ( on-line system to manage PC’s and managing assets) , Assetrax (Tracking laptops) and OfficeCentral (integrated SME enterprise management system using the cloud – accounting, payroll, HR, CRM and POS ). His company is a MSC Status company,a Microsoft Silver Partner, SME Corp 1Innocert (AA) certified, MSC SCORE+ (4.0) and CMMI certified. The company is also MyCC ( Common Criteria certified) and ISO9001 certified. He is also very involved in the ICT community in Malaysia in terms of policy and various activities and events. He is currently the (Past) President of TeAM, an association for ICT, Biotech and Green technology technopreneurs. He is also the Vice President II of NEF, an association of Bumiputera ICT entrepreneurs as well as Council Member for National Innovation Council (NIC) chaired by YAB Prime Minister and SME Innovation Council chaired by Y.Bhg Dato’ Hafsah CEO of SME Corp. Ir Aziz also active in national economic association as a Director and Economic Cluster leader for Majlis Tindakan Ekonomi Melayu (MTEM). He was involved in the creation of the NEF-Awani ICT award that was launched by the YAB Prime Minister in March 2011. He is also the Advisory panel member for MSC Malaysia and the chairman for Domestic Direct Investment. He is also the Chairman for Go Global initiative under TeAM, MDEC , MATRADE and NEF. At community level he is one of the MDEC Pre-seed Grant evaluation committee, MDEC MGS Grant Committee, Cradle Grant approval committee, University Technology Petronas industry advisory panel, judge in Malaysian IHL ICT competition, judge in Microsoft Imagine cup competition and APICTA award. 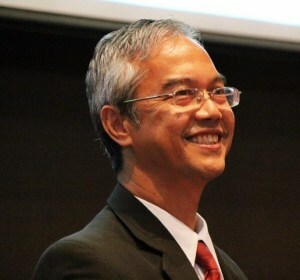 He is a speaker in many ICT events under MDEC, TeAM, NEF, MPC, MATRADE and many NGOs and universities. He is frequently invited in Astro Awani to talk on issues related to ICT sector. He is also the ICT cluster leader for the Majlis Perundingan Melayu, an NGO caucus for bumiputera. His passion is in developing strategy and various actions for helping Malaysian ICT companies to go to global market. He is the leader for the initiative Go Global, the initiative to help companies to expand to regional market. He hope that in the near future many ICT companies can compete and win in many overseas countries. At local level he is actively involved with SMEs in Malaysia in initiative to help them grow by using ICT under the initiative ICT for Growth. He is a graduate of Master in Business Administration from Faculty of Economic and Administration, University of Malaya in 1981. He studied in Loughborough University of Technology, United Kingdom between year 1981 to 1984 and graduated as Bachelor of Science (Honours) in Electrical & Electronics Engineering. He also obtained Ordinary National Diploma in Technology, ( With Commendation) from Brighton Technical Technical College, Brighton, United Kingdom in 1981. In 1978 he passed his Sijil Pelajaran Malaysia (1978) from Sekolah Alam Shah, Kuala Lumpur with eight distinction and awarded the best student for the school. Currently he is the President/CEO for Authentic Venture Sdn Bhd, an MSC Status company. He leads the development of Venture range of products including eTrax PC Monitoring System, AssetCentral Asset Management Software (which consists of IT Asset Management, Maintenance Management and Asset Management) and OfficeCentral Enterprise Management Solution. From 1998 to 2002 he was the Managing Director and Partner for Digital Aura, an industrial automation products development company. He was also responsible for the company business expansion in Middle East. He was involved in Paka Power Station DAS, PGU Pipeline RTU, Cement Plant, Oil & Gas Facilities control system, Hydro Power Station, Iraq Oil & Gas Control Systems and many others. Prior to that he was the Group Managing Director for Technology for Progressive Impact Corporation Sdn. Bhd. Group of Companies. He was the Managing Director for PI-CSE Systems and Engineering Malaysia Sdn Bhd involved in Plant Management Information System and database applications. He was involved in Malacca Refinery Plant Management, Information System, GPP PI system and Teknik Janakuasa TJSB PI System. He was also the Executive Director and CEO for Multinational Company, Foxboro (Malaysia) Sdn Bhd involved in Distributed Control System, remote terminal unit, instrumentation and analyser system. He was involved in Malaysia LNG projects, PGB Gas Processing Plant 5&6, Shell Kinabalu Platform, Karambunai Power Station, TNB Distribution RTU system and many others. Foxboro is a multinational company based in the USA. From 1991 to 1994 he was a Project Manager for Multinational company Honeywell Engineering Sdn Bhd. He was involved in Control System and Instrumentation for Shell Port Dickson Refinery, Petronas Training System, Petronas Carigali Crude Oil Terminal and Miri Refinery. His first job was with Tenaga Nasional Berhad between 1984 to 1991. He was involved in Sultan Salahuddin Abdul Aziz Power Station as Head of Control and Instrumentation Section Phase 2. Prior to that he was the Project Engineer for Control & Instrumentation for Paka Power Station, Terengganu, Malaysia. He was involved in Control System, PLC, analysers and field instrumentation. I've heard this man more than hundred times..They say there is no successful person in the business industry..really like this article.thank you very much for sharing.keep posting. Google Search Engine - How to Get Ranking #1?